The Creekside Open 2013 was the fifth visual arts open competition run by the Art in Perpetuity Trust. Paul Noble selected the first exhibition, shown in May 2013 and Ceri Hand selected the second exhibition which took place in June 2013. 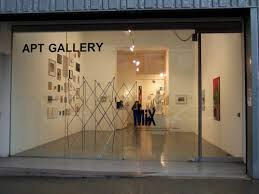 Both exhibitions were held at the A.P.T Gallery in London. Katherine Reekie’s painting ‘Stilted’ was selected by Pual Noble to be included in the May show. Paul Noble curating the show.